It's been a good week for Gavin "gavz101" Cochrane at PokerStars high stakes PLO tables. The English pro topped yesterday's high stakes leaderboard with a $64,557 win, and over the last seven days he has topped the daily leaderboard on no fewer than three occasions accumulating $231,788 in profits along the way, making him PokerStars biggest high stakes cash game winner so far in 2018. Cochrane put in a little under 1k hands in just over four hours yesterday afternoon/evening at the $25/$50 and $50/$100 tables, with nearly all of his profit coming from a 1hr 40min two-tabling session at the $50/$100 stakes where he played against Ilari "Ilari FIN" Sahamies, Cobus83, Maahone, probirs, and bajskorven87. He won $34,996 at table Musa, and $27,487 at table Naiad II. 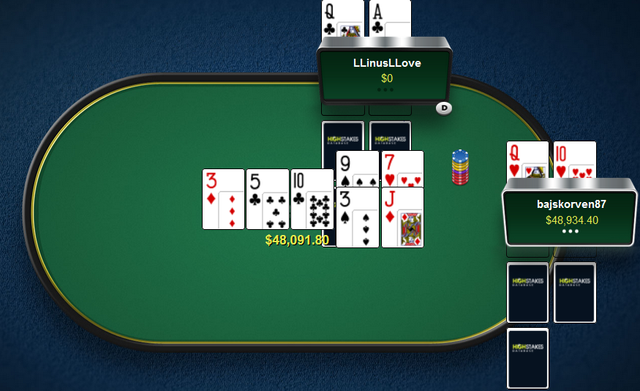 In total bajskorven87 won $52,542 yesterday, with almost $49k of that coming from heads-up matches against LLinusLLove. This was enough to place him third on yesterday's leaderboard. Just above bajskorven87 in second spot we find UK pro Elior "Crazy Elior" Sion with a $53,452 profit. Elior made his gains at the 8-Game and Triple Draw tables. He started with a $20k win over Mikael "ChaoRen160" Thuritz at the $400/$800 and $1k/$2k 8-Game tables, followed by a $32k win over German pro RaulGonzales at the $500/$1000 and $1k/$2k 2-7 Triple Draw tables yesterday evening. Completing yesterday's top four winners was Maahone who ended the day up $51,464 after playing over 1.3k hands between the $25/$50 and $50/$100 PLO 6max tables. His winnings were split between some early morning, mid-afternoon, and early evening sessions. For all yesterday's winner and losers go to our results page, or for current action head on over to our live results section. Does not win online since 2012 when he luckboxed against Isildur1. Overrated player, part of the KINGS casino "Leon Squad" line up for private games.